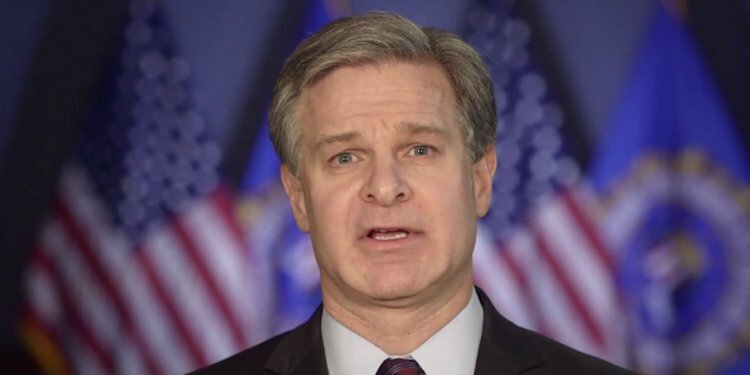 The Hill: FBI Director Christopher Wray tore into what he called a “mind-boggling” and “short-sighted” government shutdown in a video message to employees on Thursday, telling them he is angrier than he has ever been. Wray released a video message nearly six minutes long in which he encouraged employees to not give up hope during the longest government shutdown in U.S. history. “It takes a lot to get me angry, but I’m about as angry as I’ve been in a long, long time,” Wray said. The five-week-long shutdown has caused around 800,000 federal employees to miss two consecutive paychecks. The Department of Justice is one of several federal agencies impacted by the ongoing government shutdown, which entered its 35th day on Friday. FBI agents are deemed essential and are still working, but they are not being paid as a result of the lapse in appropriations. Wray described it as “mind-boggling,” “short-sighted” and “unfair” for employees to be furloughed or forced to work without pay. The director explained why FBI leadership has not been visible in the press “fighting the good fight” over the course of the shutdown, saying it could harm the agency. “You know better than most that we’ve been thrust into the political spotlight more than we would have liked over the past few years. And the last thing this organization needs now is its leadership to wade into the middle of a full-on political dispute,” Wray said. “But let me also be very clear: We’re actively advocating for you left and right, at every level,” he added. The FBI Agents Association, a group that represents past and present FBI agents, released a 72-page report Tuesday sharing first-hand accounts of anonymous FBI agents and the impact the shutdown has had on their work. “Voices from the Field” revealed that simple operational needs are not being met, including the ability to buy pre-paid phone cards, book air travel or use official FBI vehicles, among other examples. The group, which represented roughly 14,000 active and retired FBI special agents nationwide, called for the shutdown to end earlier this month. The shutdown began on Dec. 22. 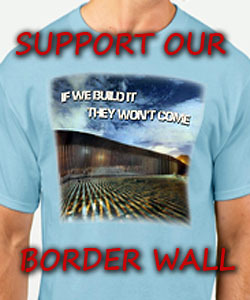 President Trump has demanded $5.7 billion for his long-desired border wall between the U.S. and Mexico, but Democrats have rejected that request. Apparently Wray is left leaning also. There was no reason to send all those agents and vehicles to Roger Stone’s house to arrest him. Just more garbage by the left to prove how rotten and corrupt they are. The whole FBI needs a new makeover and get rid of some of the trash causing all the problems. Formal president George Bush said read my lips no new taxes read my lips no wall no contributions ever again if I do not see you keep your promise without wavering I will heal by withdrawal on my support for you and for any other politician the rest of my life I will call it a lost cause and that we are the new Venezuela! We will never forget your support. Individual charges you will see on your credit card today. Wray and girlie fart, the same. If no shut down, would Hillary be in jail. the FBI HAS BECOME A TERRORIST Organization run AMOK LIKE THE DOJ.